Renting a vacation home near the water is something that many of our guests specifically request. Beach vacations are incredibly popular, especially since so many people take vacation time in the summer and folks want to make the most out of the time they have. Staying in a vacation rental home with a view reinforces the idea that one is really and truly on holiday. Watching the waves or the boat traffic from the comfort of a deck, porch or even from bed can be relaxing, rejuvenating and inspiring. Atlantic Vacation Homes has dozens of vacation rental homes that provide spectacular views of the water, whether it be the mighty Atlantic or one of our local tidal rivers. There are too many to list in the blog, but here is a sampling for your viewing pleasure. Located in a quiet neighborhood, Thurston Point Cottage offers a relaxing atmosphere with spectacular sunset views over the Annisquam River. 3 BR, Sleeps 7. 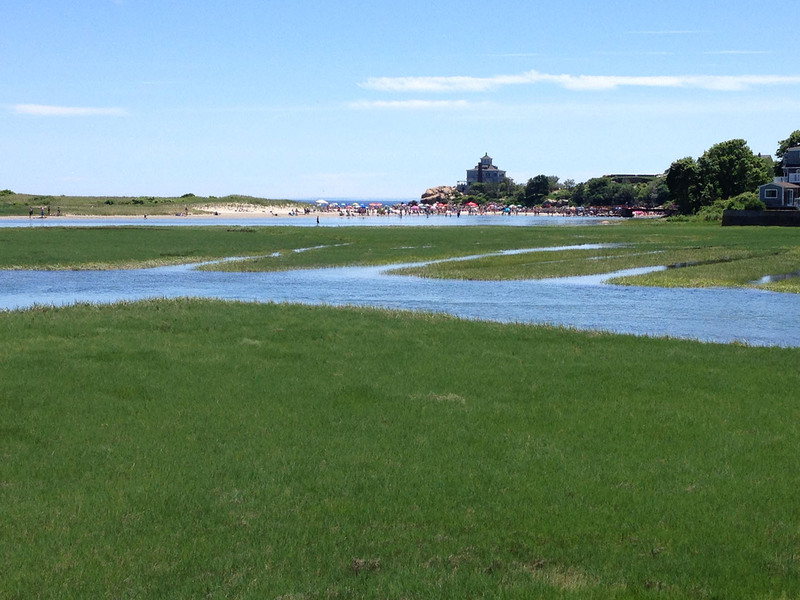 Located on the edge of a scenic marsh, you can swim or paddle your rented kayak or SUP right over to Good Harbor Beach. 3 BR, Sleeps 6. Gracious and beloved, Oceanside at Good Harbor is a family-friendly summer cottage is set on picturesque Brier Neck. It sits directly over Good Harbor Beach. 5 BR, Sleeps 9. 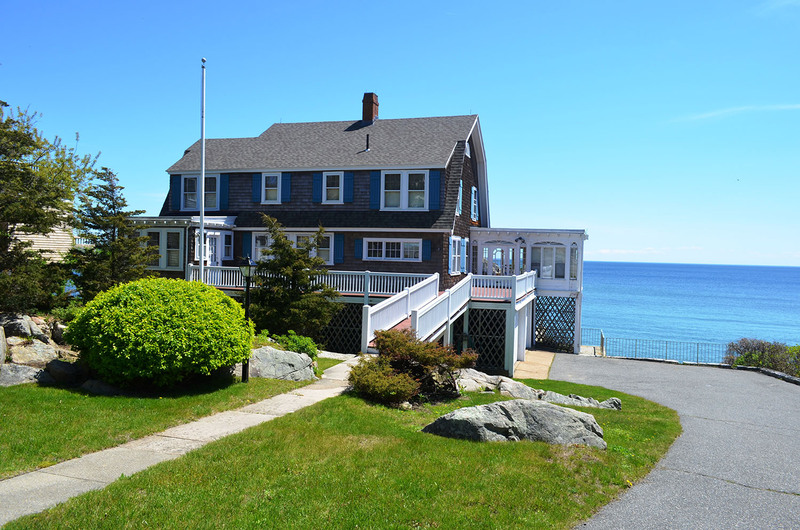 Enjoy the unobstructed views of Pigeon Cove and Sandy Bay from the deck, porch and patio that grace each level of this beach house or from just about every room inside. 4 BR, Sleeps 10. Inside, this sun-drenched vacation home is beautifully decorated and arranged to take advantage of all the natural light pouring in through the windows. Stunning views of the ocean can be seen from most rooms. 3 BR, Sleeps 7. Located at Andrew’s Point at the northern end of Rockport. The coast in front of the house is rocky, but on calm days, strong swimmers can swim from the rocks while those less inclined to swim can enjoy long walks along the nearby Atlantic Path. 5BR, Sleeps 12. 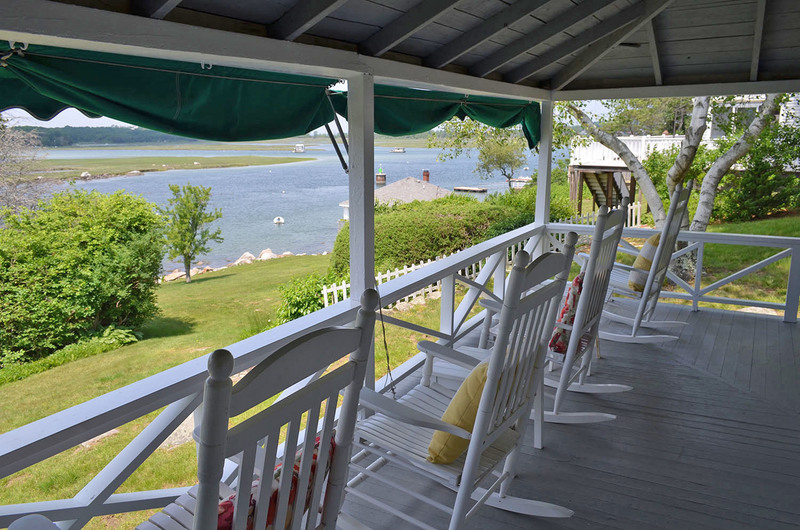 Taking its name from the glorious sunsets visible from the cottage every evening, Sunset Cottage sits directly on the tidal Annisquam River and has its own dock, as well as multiple decks for enjoying the view. 2 BR, Sleeps 4. View our full inventory of waterview vacation rentals and direct waterfront rental properties to learn more about these and other amazing vacation rental homes. To make a reservation, call us at (888) 973-3864 or you can book online anytime. ​ Atlantic Vacation Homes (AVH) is the premier vacation home rental & real estate company on Boston's North Shore, with over 30 years of creating dream vacations for our guests. Situated a little more than a half-hour’s drive from downtown Boston, the North Shore is the ideal spot for an east coast vacation. We specialize in coastal vacation rentals for families, large groups, and anyone else who wants a beach vacation in Massachusetts.